Cocoa Mint Body Scrub – oh this smells good all right! Mmm the smells of peppermint and cocoa is intoxicating! 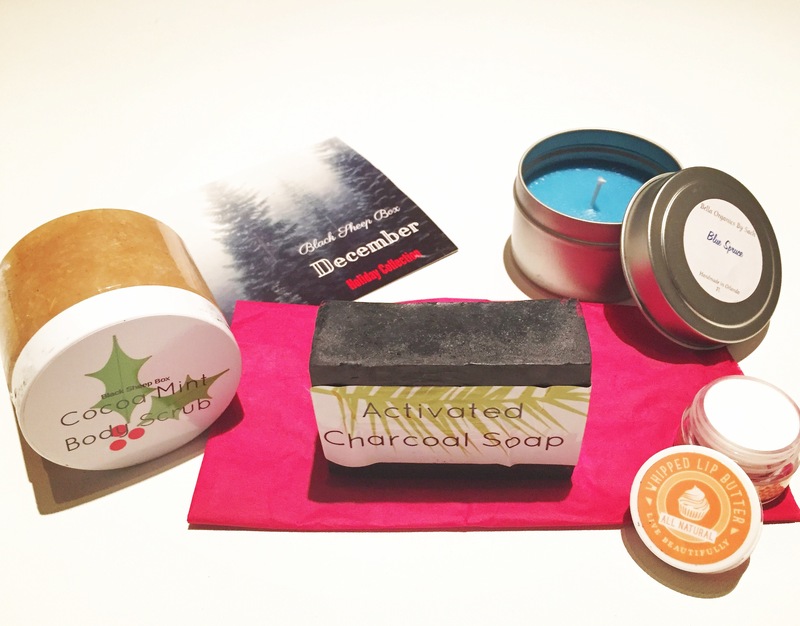 Activated Charcoal Soap – how fun is this? It will help remove impurities from your skin and has anti-aging benefits. Whipped Lip Butter – mmm smells like frosting! I actually wanted to lick it off my lips! Candle – I like this Blue Spruce candle, smells like a Christmas tree and perfect lit up during a relaxing bath. Very calming and soy of course!